If you still had your hopes up for a portable Xbox gaming handheld, they just got dashed. In a series of tweets Sunday night, Xbox chief Phil Spencer came clean on some of what gamers can expect from Microsoft during the E3 timeframe this summer. But Spencer also addressed the topic of a handheld Xbox: Put simply, it’s probably not going to happen. @xrCore I don’t think we’ll do a dedicated handheld gaming device, rather just focus on WP, tablets, maybe with controller support someday. The concept of a portable Xbox has been kicking about for years—especially during a period of time a few years ago when portable game systems were still a thing. Now, however, smartphones and tablets have largely replaced handhelds like the Sony PlayStation Vita, with emulators and Android and iOS native and ported software largely replacing the need for a dedicated console. And as for the controller? A number of third-party peripherals have sprung up to fit that need, including everything from the MOGA, which actually snugly encases your smartphone inside the controller itself, to any number of third-party solutions for iOS and Android. Oddly enough, about the only controller that connects to a Windows Phone as a gaming controller is the MOGA; somewhat surprisingly, you can’t connect an Xbox controller to a Windows Phone at all. Microsoft may have to address that if the company wishes to create a gaming ecosystem around Windows Phone. Otherwise, Microsoft’s only hint at a “portable Xbox” is its SmartGlass application, which, to date, has bee used more of a “second screen” experience for television and other online entertainment, rather than gaming. That’s not to say that company isn’t thinking about portable gaming, however. 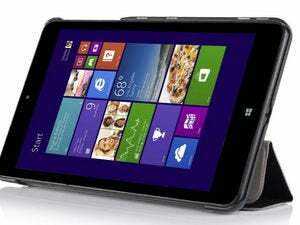 In 2011, Microsoft filed a patent to essentially render a software-based game controller on a tablet, like a Surface. And if this sounds familiar, it should: Electronic Arts and Comcast are reportedly teaming up to do just that, using EA’s Origin service. And as for what else gamers can expect? Microsoft appears to be working on support for external storage for the Xbox One, as well as relationships with “new studios,” Spencer tweeted. 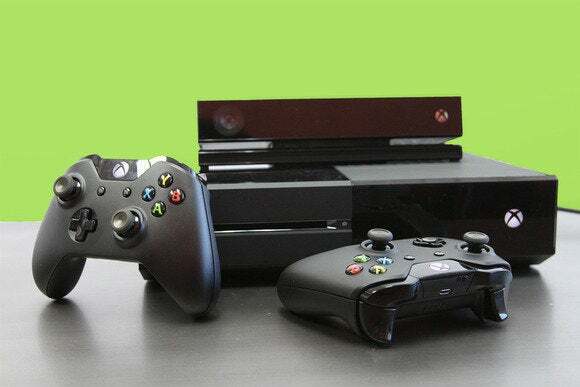 No word yet on whether Microsoft plans to rework Xbox Live Gold, as it probably should.